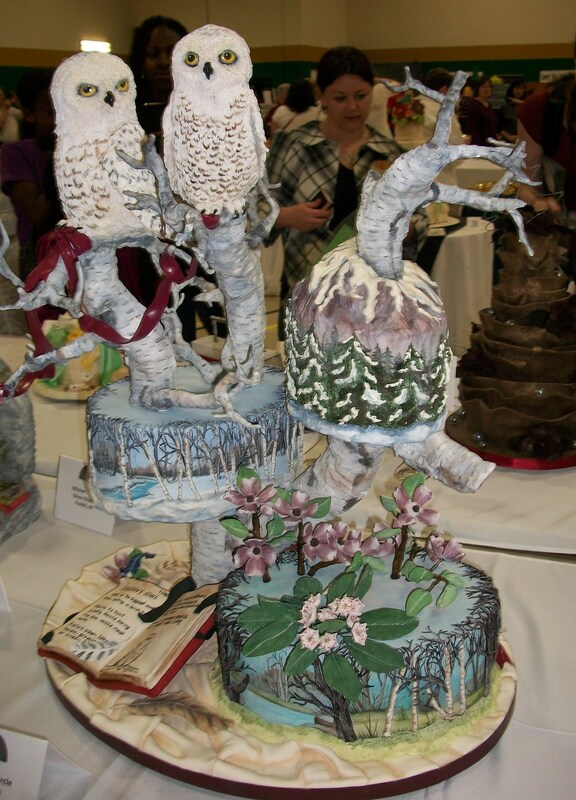 It’s time for the final post from the cake show. 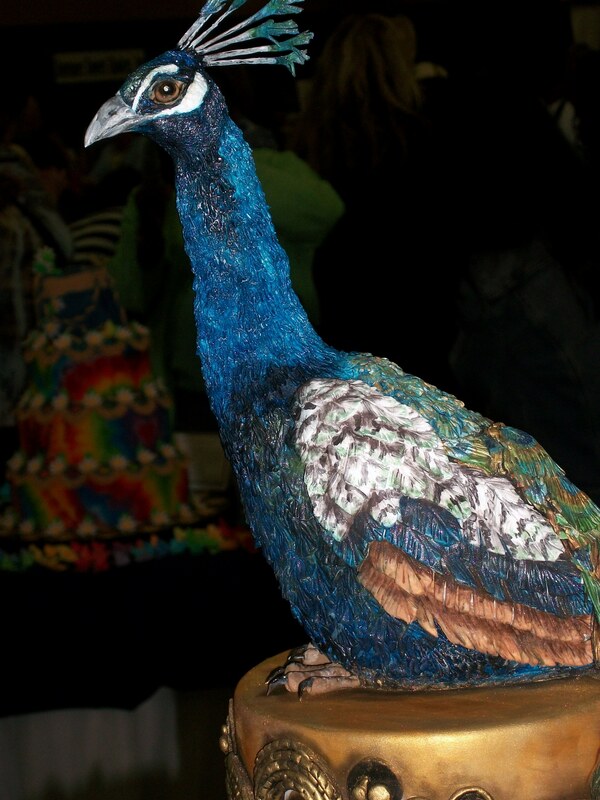 Here are the cakes that amazed me the most. First, is the owl extravaganza. 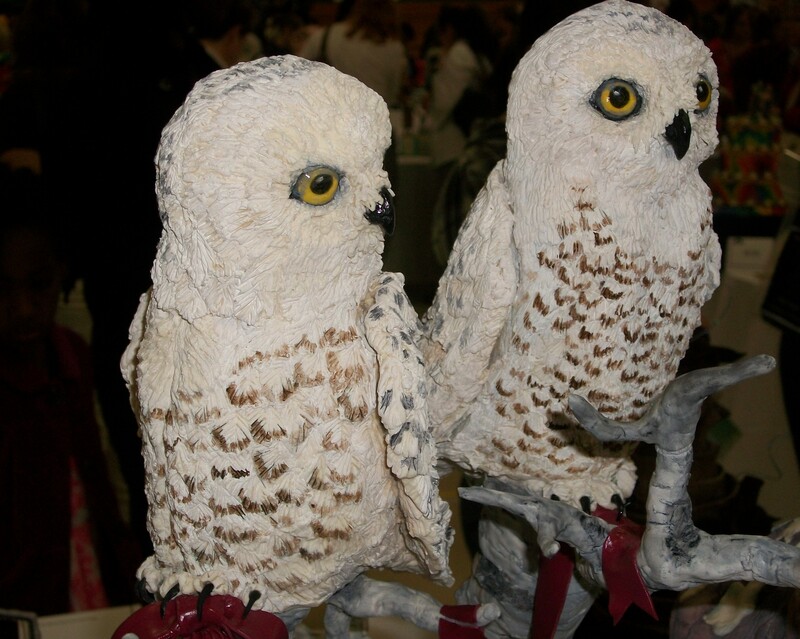 Take a look at a close up of the owls.Remember that these are being constructed of edible materials. 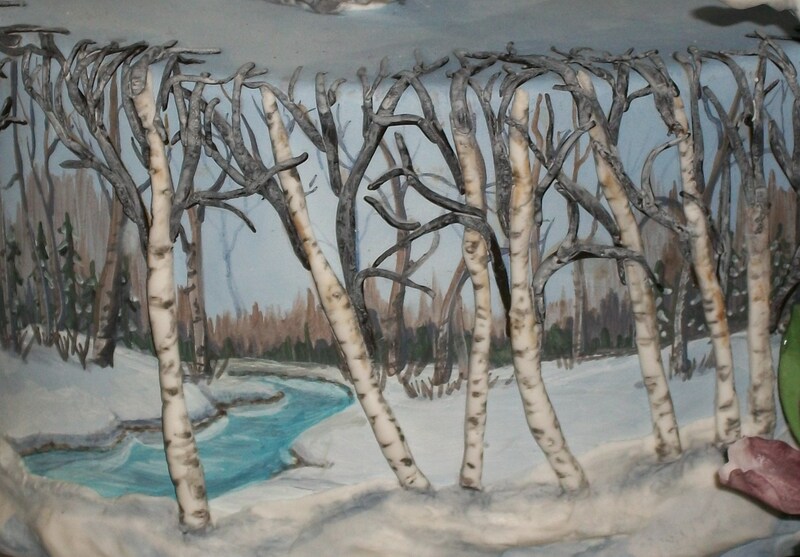 Here’s a close up of the trees on the cake. 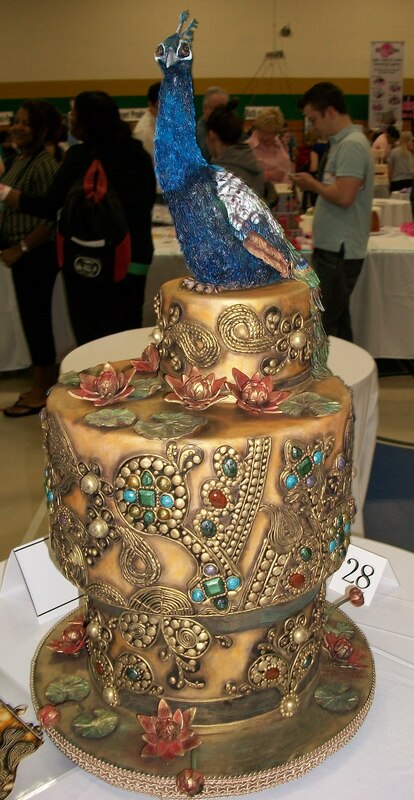 As beautiful as this cake was, it was my least favorite of the four on this post. 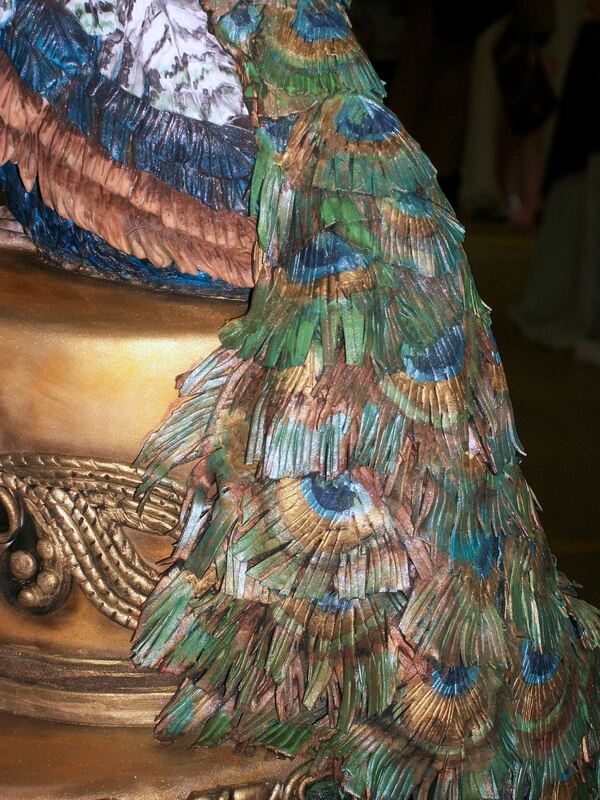 And, that’s mainly because I’ve discovered that heavy airbrushing on cakes just doesn’t do it for me. I like to see decorators showing off their skills in more exclusively cake-centric activities. 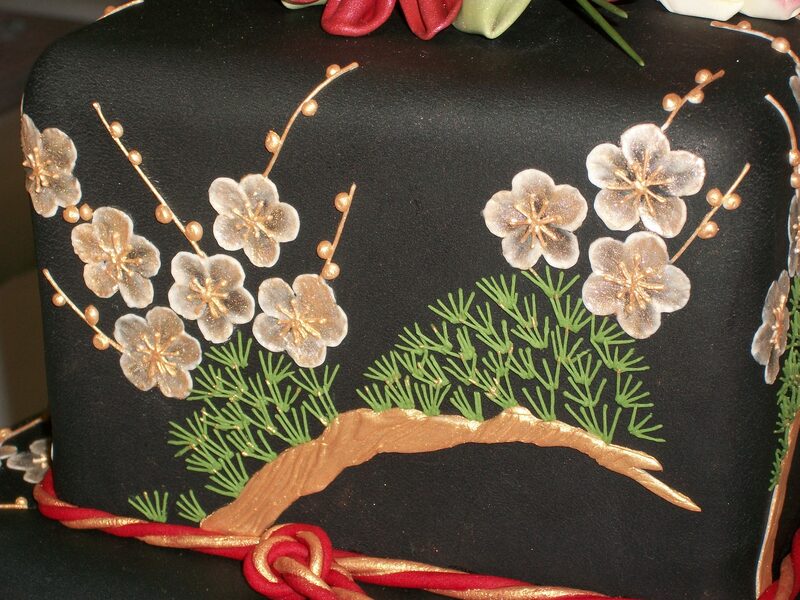 Airbrushing and painting can be done on many different canvases, cakes included. Here’s another cake. It was the one that I cast my vote for as best in show. It’s not the one that resonated most with me, but the detail is amazing. 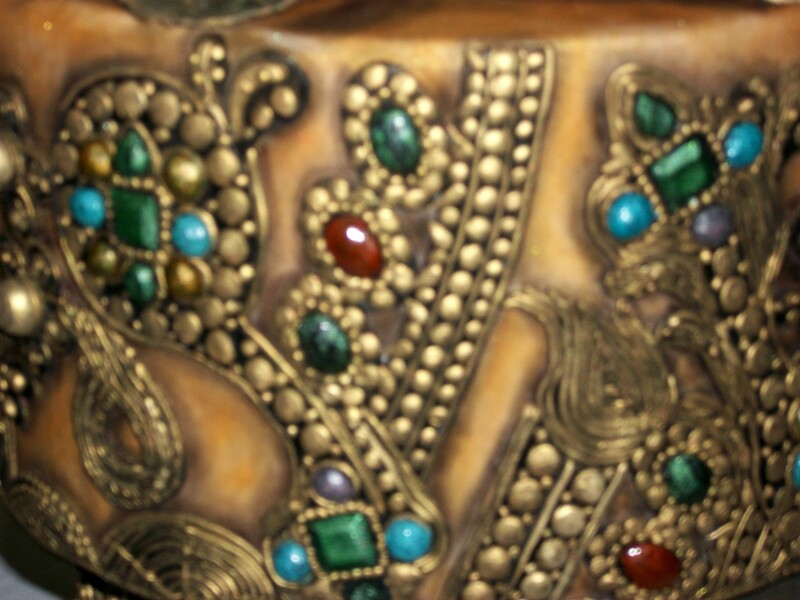 Each of the gems on the cake were hand-crafted. 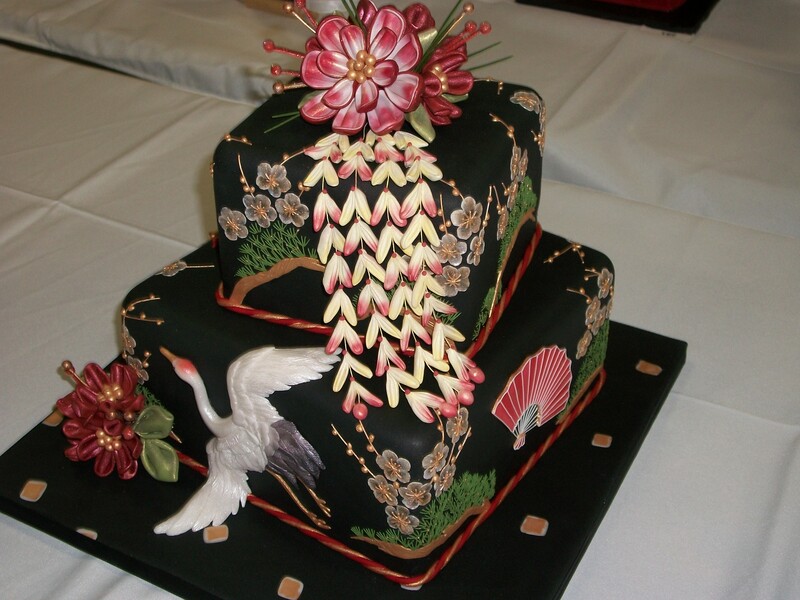 But, as for my personal taste, I liked this Asian inspired cake better for its understated elegance. Just a decorator and some icing, but such exquisite detail. 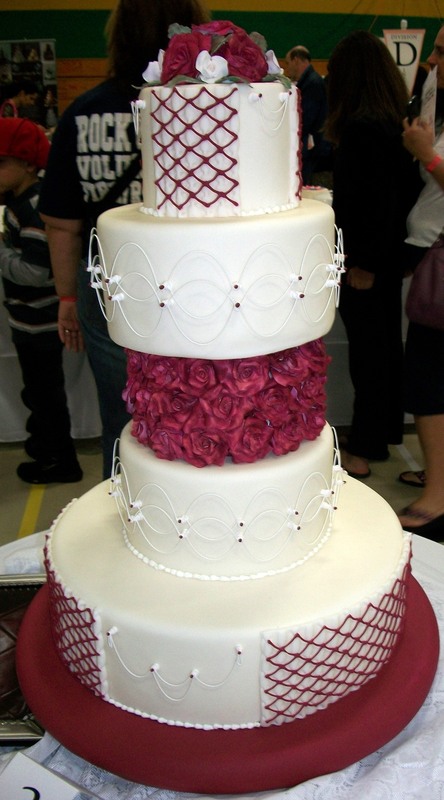 And, I felt a little bad for this decorator because the cake was leaning ever so slightly. The basic techniques on the cake though were taken to an entirely different level when compared with what most people see everyday. 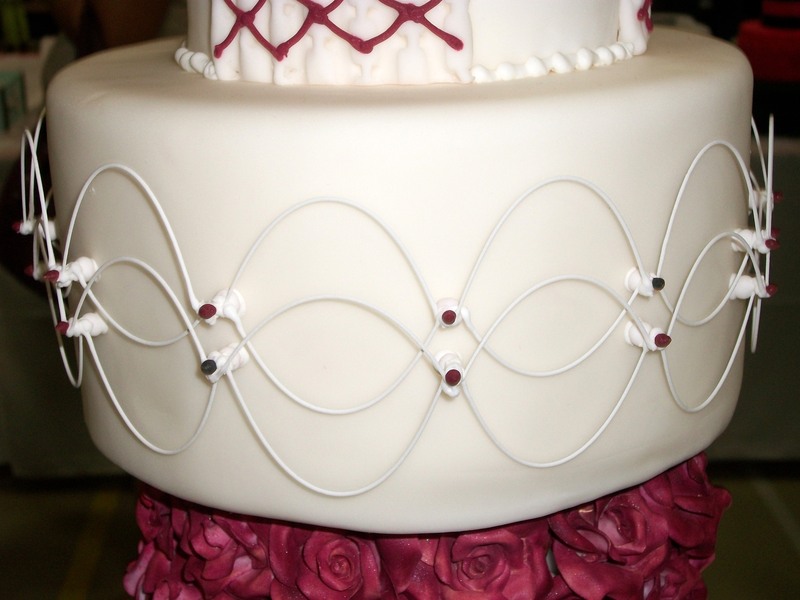 I really want to know how to use string work on a cake in the three-dimensional method shown here. It’s like magic, sugar just suspended in air. And, if I could ever churn out even one rose like the ones on this cake, I would probably have to put it in its own special preservative dome in my kitchen. 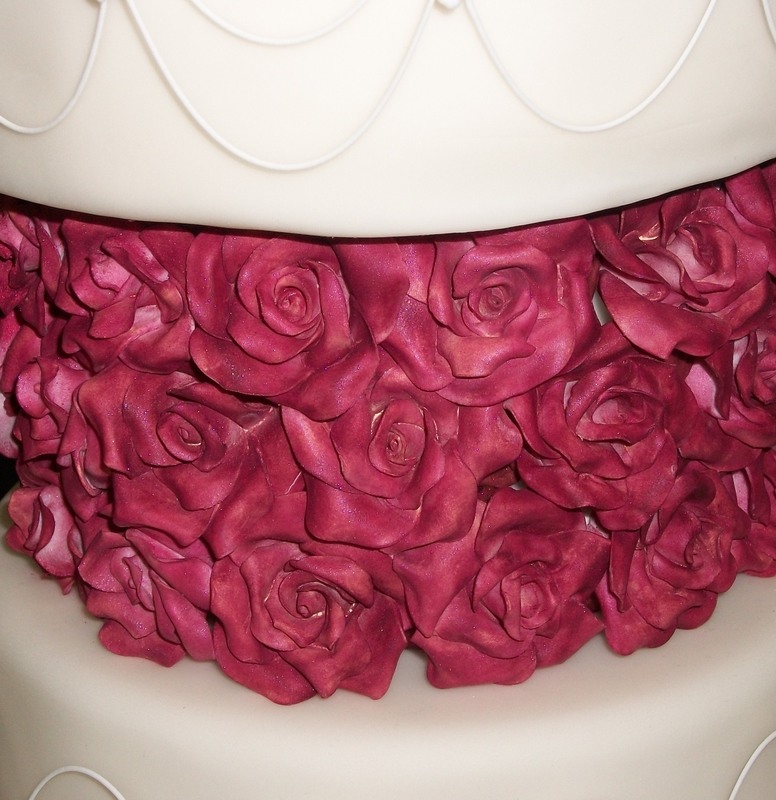 I’ve never, ever, ever even come close to creating roses like this on my cakes. They’re amazing here, and the color was even more amazing in person. There you have it. My first cake show. It was pretty intimidating, but I won’t let it stop me because people are usually somewhat impressed if you go any farther with a cake than slapping Betty Crocker canned frosting on it (not that I’m judging anyone who ever does that because when you point a finger at someone, there are always three more pointing back at you). And, I think decorators at some level have to decorate just because they enjoy the personal challenge to come up with something they can take pride in. As long as I can stay off the Cake Wrecks blog, all will be well.